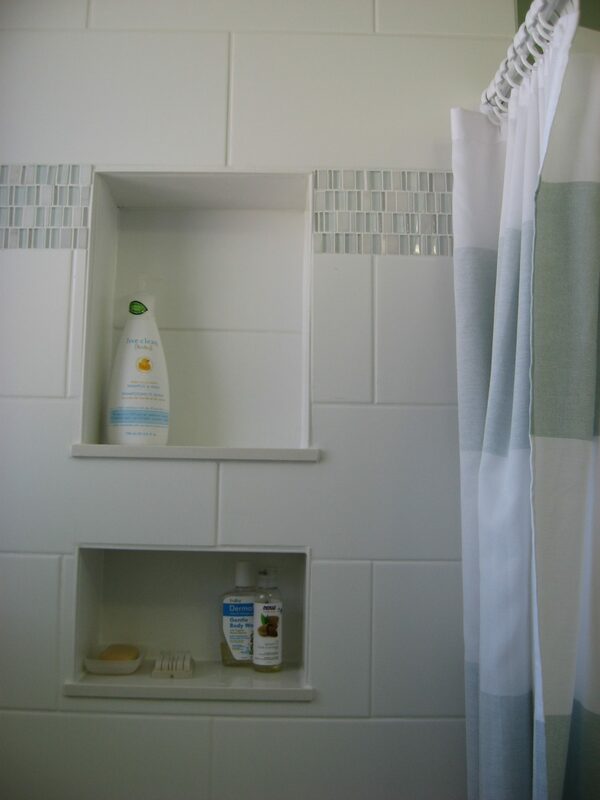 This is certainly the smallest room we have ever worked on…but it certainly needed a lot of help! This corner of the house was always freezing as a result of cold winds from the nearby Lake so the first thing we did was rip out everything right to the studs, add in new insulation and replace the window. 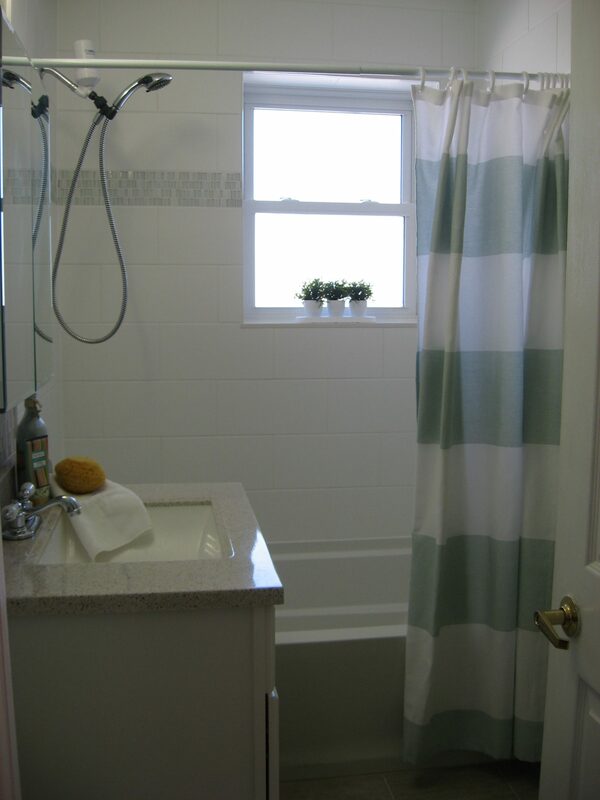 From there, the room was put back together, with each finish and fixture given careful consideration. 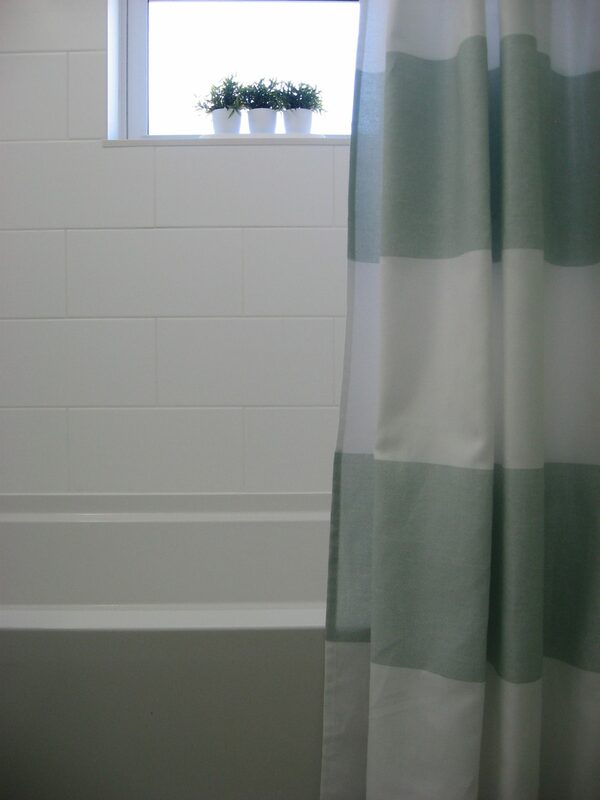 A new soaker tub was installed, giving the homeowner the luxury of a relaxing bath at the end of a long day. Niches were added to the tub surround to provide a spot to store necessities rather than cluttering things up with metal shelving. 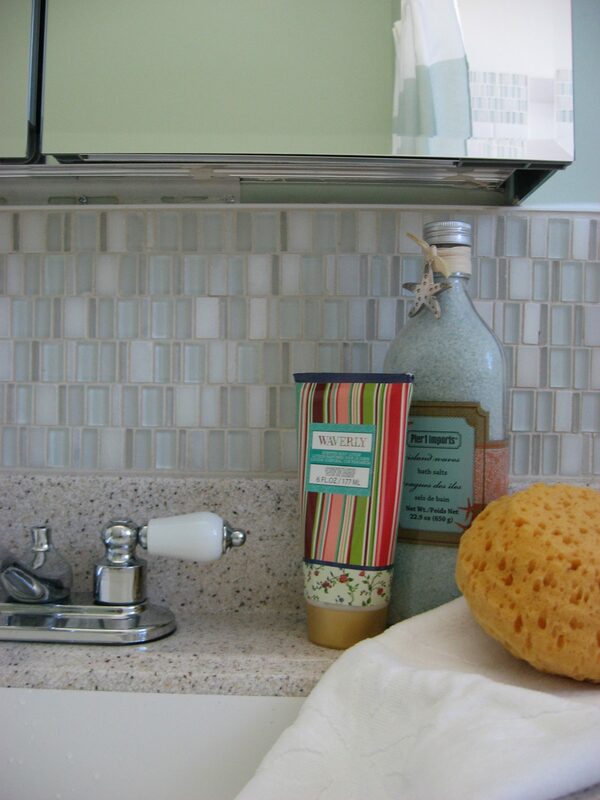 An oversized subway tile was used in this area with an accent tile border to add interest. 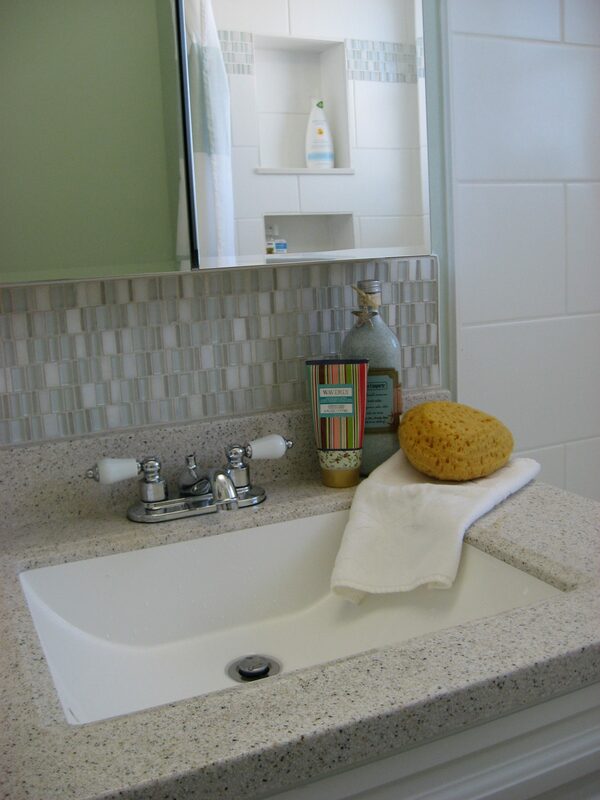 The lack of storage was an issue, so we chose the largest size vanity we could feasibly fit in the space and installed a medicine cabinet to remove clutter from the counter’s surface; the same accent tile in the bath was used here as well. 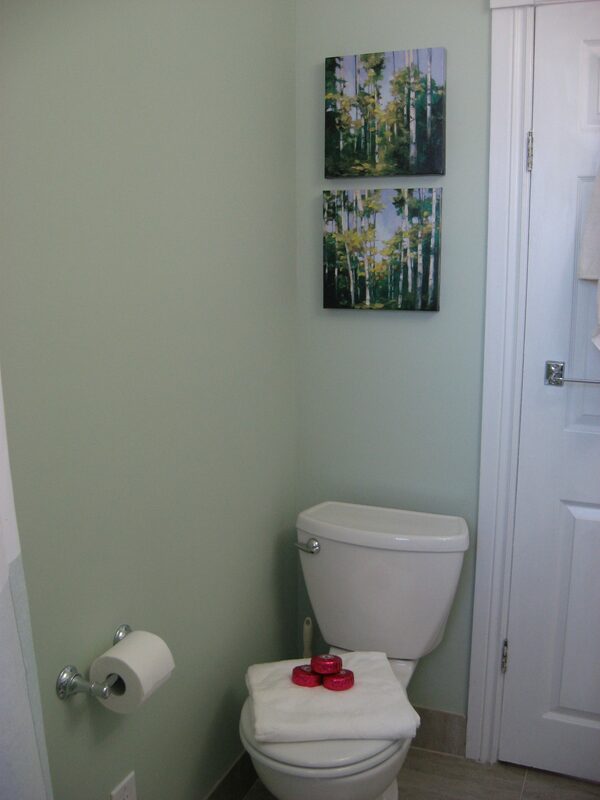 A soft green palette was chosen to bring in an element of nature, and is carried through in the paint color, the striped shower curtain and even the artwork. 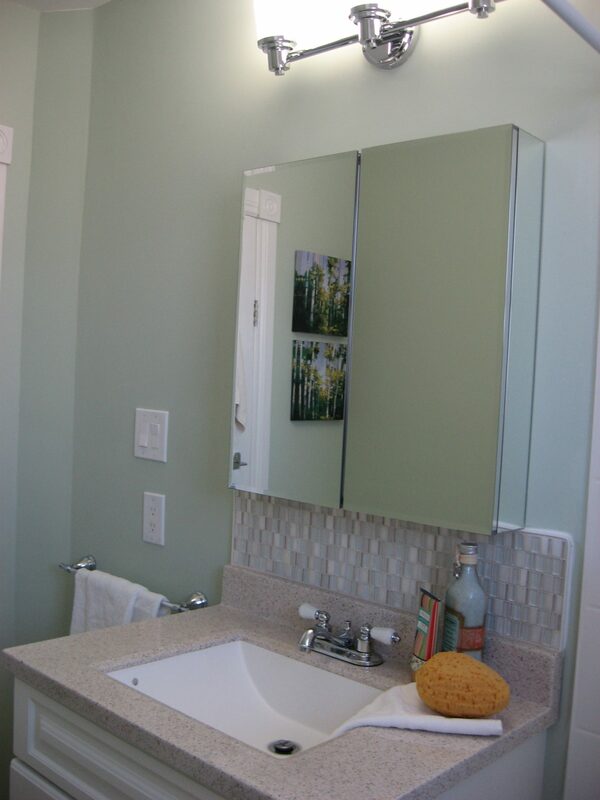 To finish things off, new lighting was also added enhancing the chrome used throughout the room. The transformation is incredible and now this much brighter space is where the homeowner loves to start—and end—her day.